How fast does your IT service provider respond? How long does it take your IT service provider to resolve your issues? What’s downtime truly costing your business? While your IT service provider works to restore your systems, there are other direct and indirect factors that can affect your bottom line. Are you being proactive versus reactive? When you are being proactive you are working to control a situation by causing something to happen rather than responding to it after it has happened. This is almost like looking into the future, however, you do not need to be a psychic to prepare. There are several steps you can take to prepare and stay proactive. 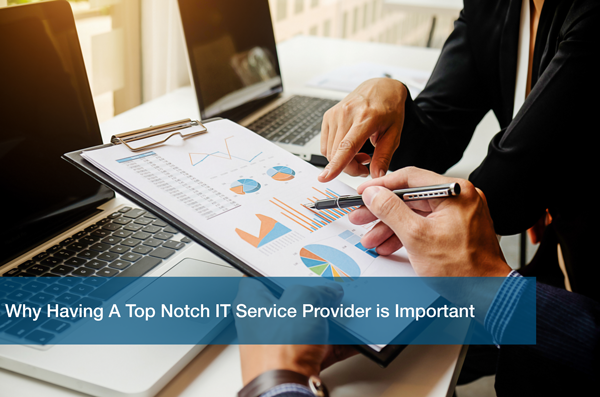 Having top notch IT services is important to your small business’s big bottom line. Security Risks, Reactive Behavior, and Irritated Employees. Oh My! Your site can be hacked while down. Customer information, your information, and network can be compromised. With so many businesses moving their information and systems online, hackers are looking to bring sites down, steal, and some even consider it a hobby. While your service is being restored, what does this do to production? Proactive monitoring is a great way to catch these security issues before they escalate. When you are waiting for something to break before you contact your IT service provider, this is reactive behavior. I’m sure it seems that is the only time you need to call your IT service provider for help, but this can actually add a significant amount to your bill. On-Demand services are more expensive and at times aren’t always available. Who do you call in a pinch? If your management team is constantly putting out fires, how can they focus on the bigger picture of your business? How long can you be out of production? Having an IT service provider that is helping predict these breaks before they occur can play a vital role in your business. Is your team having a difficult time with the tools they are given to complete their tasks? Does this difficulty have a hand in turnover? What do new-hires cost the company? Selecting the right candidates and having a positive work environment aren’t the only things to consider with employees. Making sure they have working tools to do their job is essential. Having and being able to use the tools provided ensure that the employee remains efficient and productive. Then, instead of hiring a new employee, this employee can be further developed and contribute more to your business. Engage and develop your team! Rest easy, ITC has a proactive approach to managed services. ITC offers 24/7 monitoring of your systems so we can get you back on track as fast as possible. There’s always a support engineer ready to help. Get started today with managed IT services and save your business from having to deal with the unexpected.